The purpose of the Diploma in Accounting is to provide a business-relevant qualification to people who seek a rewarding career in accountancy and more specifically in the financial services industry. 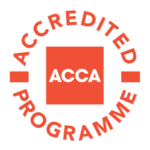 It also aims to prepare candidates to apply and become accredited by the global body for professional accountants such as the ACCA (the Association of Chartered Certified Accountants, the AIA (Association of International Accountants) or any other internationally recognized accounting bodies. Prepare students for careers in the industry, accounting, government and other various institutions/organisations. Further their academic and professional studies to advanced diploma or degree level if desired.